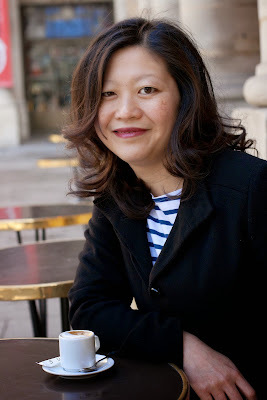 Welcome to ‘France et Moi’ where this week I am talking to Ann Mah, author of Mastering the Art of French Eating: Lessons in Food and Love from a Year in Paris about what France means to her. You can read my review of this delicious book that has now been released in paperback, here. Ann Mah is a journalist and author of a food memoir, Mastering the Art of French Eating, and novel, Kitchen Chinese: A Novel about Food, Family, and Finding Yourself . Her articles have appeared in the New York Times, Condé Nast Traveler, South China Morning Post, Bon Appétit, and other publications. In 2005, she was awarded a James Beard Foundation culinary scholarship. Ann divides her time between New York and Paris, but loves eating everywhere. Ann: I love the connection between food, and place, and history in France, the sense of continuity, the way a recipe grows from the land, takes root, and is cooked and eaten in that same spot for hundreds of years. Ann: I was six years old and on a family vacation. We arrived in Paris in the midst of a high-summer heat wave. Every aspect of the city assailed my senses from the seesawing sound of the sirens to the imprint of wicker café chairs against my legs. I didn’t like everything, but it all gripped me under a spell I would come to know was Francophilia. Meanwhile, my fifteen-year-old brother was at the peak of his rebellious years. He spent a lot of time plugged into his Walkman while my parents coped by drinking red wine. 3) When you first arrived in Paris what was the best thing about being immersed in French life and the scariest thing? Ann: The opportunity to travel around France, researching the country’s culinary traditions was both the best and most intimidating experience. I’m an introvert, so it took a fair amount of gumption to introduce myself to strangers and start asking them quite intimate questions. In the beginning, I felt awkward travelling alone – especially dining alone in restaurants, when it felt like everyone was staring at me. But after the first few trips, I started to enjoy being on my own, creating my own schedule, eating when I felt hungry, and dropping everything to, say, hunt down an obscure buckwheat farmer. Soon after I moved to France, I was invited to a cocktail party in Provence. I had just completed a seven-week French immersion program and I was eager to test out my brand new language skills. But when I found myself being introduced to the village mayor, my heart started to pound. The mayor had a bald head, intelligent eyes, and was missing a finger from a hunting accident. He was interested in my husband’s job as a diplomat, and in the various countries we had called home. “Did you enjoy living in Beijing?” he asked in French. “It was a wonderful experience, but sometimes challenging,” I said. “La ville est très salée.” Everyone within earshot laughed uproariously. It took me a minute, but eventually I realized that somehow in my fluster, I had confused “sale”—which means dirty—with “salée,” or salty. 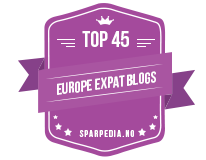 5) Every region in France has it’s own culinary specialty and you traveled widely tasting and researching for you book, but do you have a favourite regional dish? Ann: It’s impossible to pick a favorite but some of my fondest memories are from my trip to Brittany, a region I loved as much for its buttery buckwheat galettes, as the warm welcome I received there. Being invited into people’s homes, cooking homemade crêpes, listening to their childhood stories – these were experiences that touched me very deeply. Ann: I’m a sucker for the most basic stuff: a baguette “tradi” (it tastes best when you break off the heel and eat it on your walk home) and chocolate éclairs. 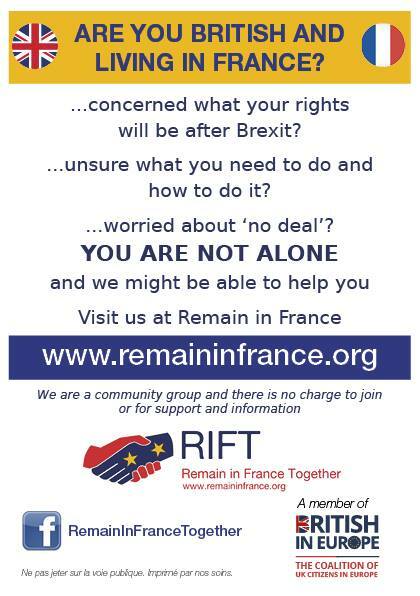 7) Is there anything French you won’t eat? Ann: I will try anything. But I am embarrassingly squeamish about most offal. 8) France has many different cheeses, a silly question, but which French cheese are you? Maybe a hard and mature Tome, a soft, fresh and lively goat cheese, the creamy and rich Camembert or maybe the salty and serious Roquefort? Ann: Perhaps a Beaufort, from the Savoie? It’s an aged cheese perfumed with the wild herbs and grass of Alpine pastures. It relies on hard work and tradition, which are qualities I admire very much. 9) Can you describe your perfect French apero for us the drink, the nibbles, the location and the company? Ann: The drink? Champagne. Even saying the word brings a smile to my face. The nibbles? I’ve been craving gougères for several weeks, especially the oversized ones sold at the marché bio on Boulevard Raspail. I love the crusty exterior contrasted with the spongy, cheesy layers within. They’re delicious with Champagne! The location? I often dream about our living room in Paris, tiny but bright with afternoon sunshine, strewn with my beloved flea market finds. Ann: I’m writing a novel set in Paris and the vineyards of Burgundy—it’s a love story with a secret buried at the heart of a family wine cellar. I’m enjoying every drop of the wine research! Ps I can’t wait to read the novel! 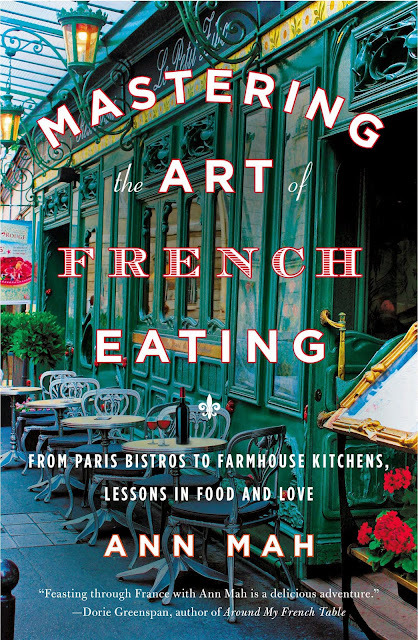 Mastering the Art of French Eating: Lessons in Food and Love from a Year in Paris is published by Penguin Books and is available in hardback, ebook and paperback (from today in the US and from 20th November in the UK). 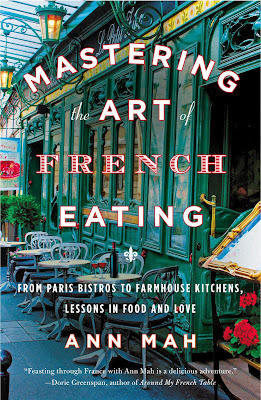 This book would make a perfect Christmas gift for any food loving Francophile. Links to Amazon can be found below.